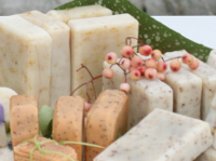 We teach the traditional cold process method of soap making, using the finest quality vegetable ingredients and the purest essential oils. 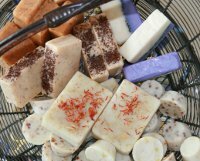 The day starts at 10:30 am with a brief introduction to the tradition of cold process soap making. Followed by a demonstration of the technique. We break for a light lunch. After lunch you make your first batch of soap using the method demonstrated earlier. The workshop ends at approximately 4pm. Each student will receive a comprehensive set of notes and the soap you made on the day.